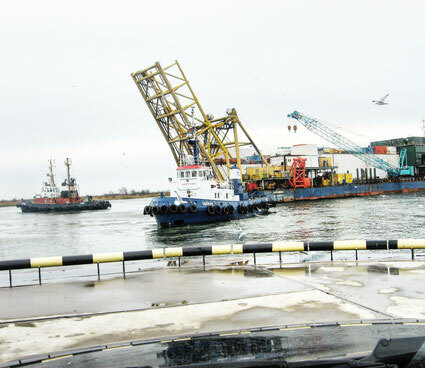 NEWS - Буксирная компания "МореСервис"
The Floating Crane "SHAVARSH" was occupied by replacing of anchors from LPG MARSHAL VASILEVSKIY. 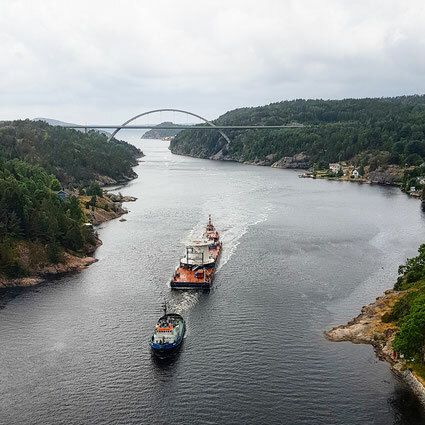 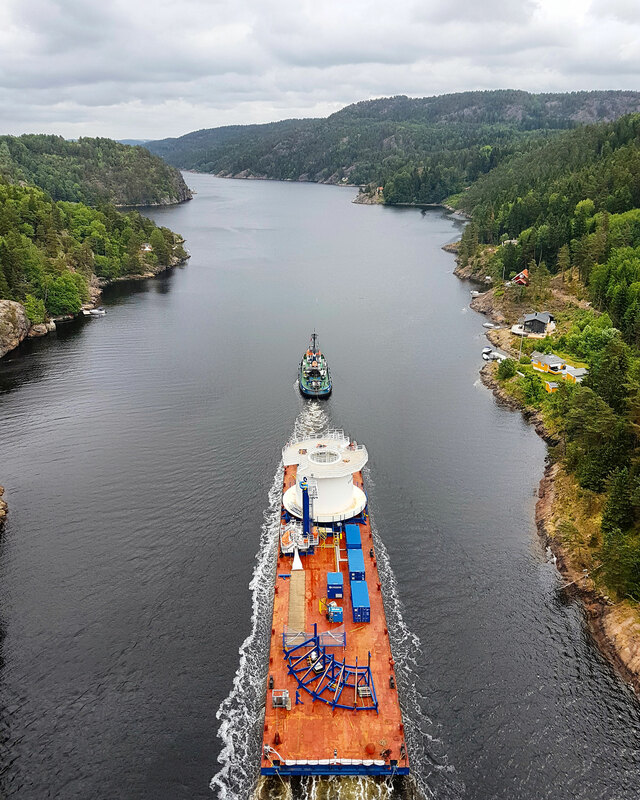 The tug "Odissey" arrived with the barge ARK 11 in Halden (Norway). 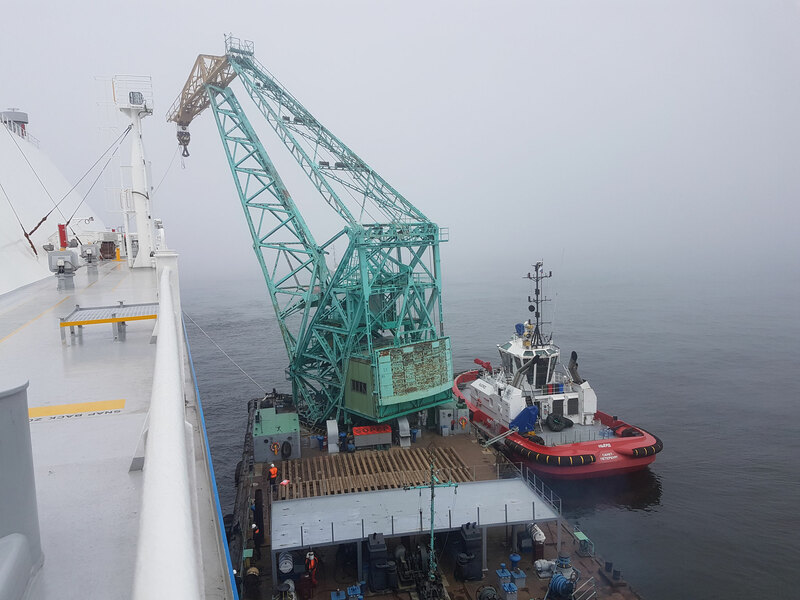 Towage of floating excavator "Bastion" by sea tug "Norsund" for further gas terminal building. 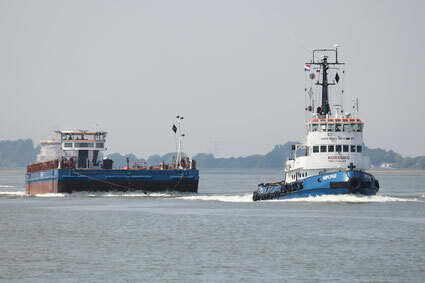 Sea towage of barge " Karbon" by tug "Norsund". 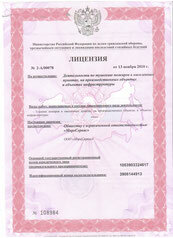 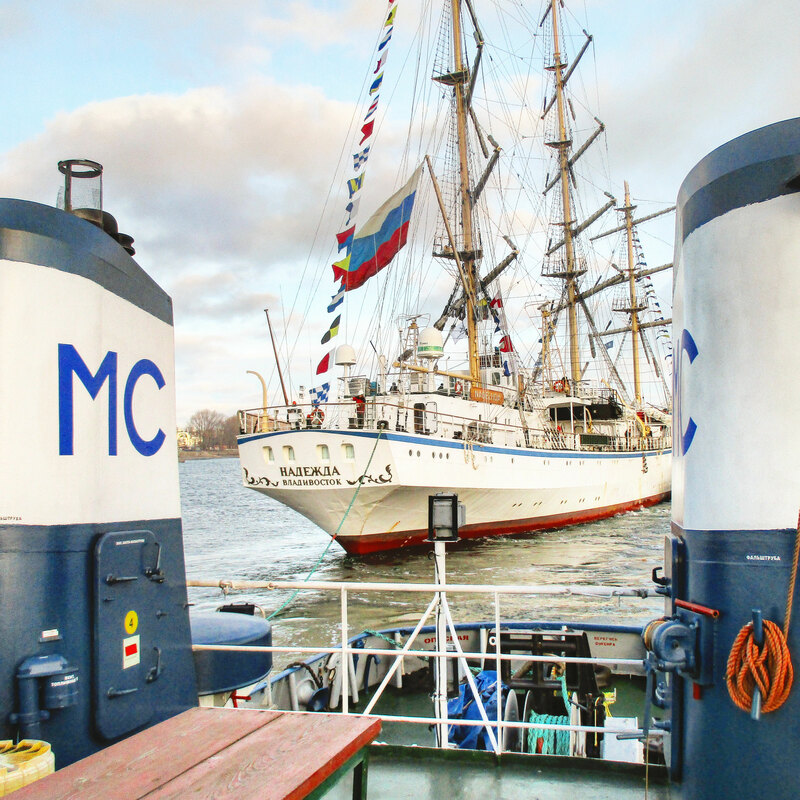 Training ship "Nadezhda" in port of Baltijsk. ASD tug "Tayfun" assisted to moor sail training ship "Nadezhda" in port of Baltijsk. 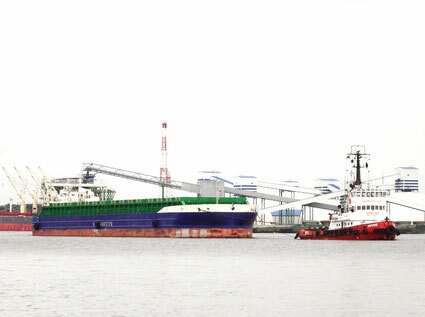 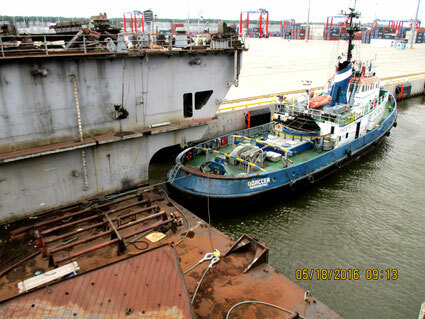 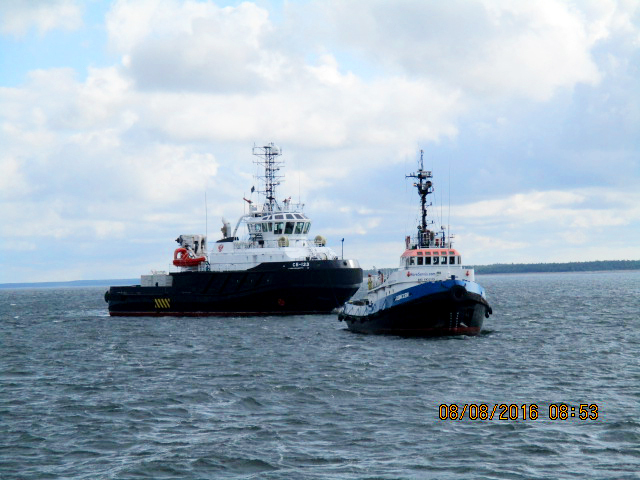 Towage of floating excavator "Bastion" by sea tug "Odissey" for further gas terminal building. 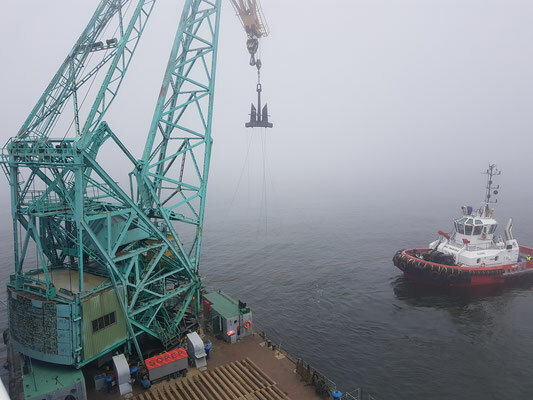 Towage of floating excavator "Bastion"
Towage of floating excavator "Bastion" bysea tug Odissey for further gas terminal building in the area of Sokolniki(Kaliningrad region). 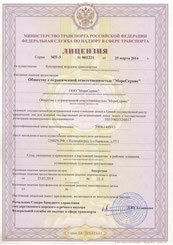 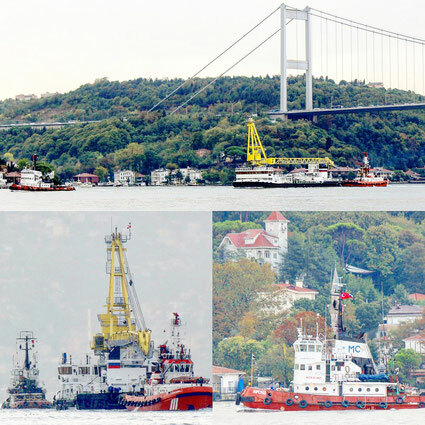 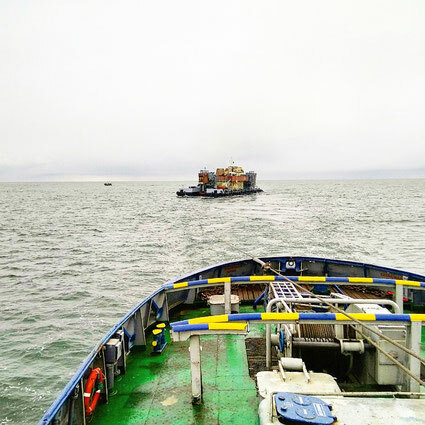 Unmooring of special purpose barge "Kapitan Bulganin"
Unmooring of special purpose barge "Kapitan Bulganin" by two azimuth tugs Tayfun and Tornado. 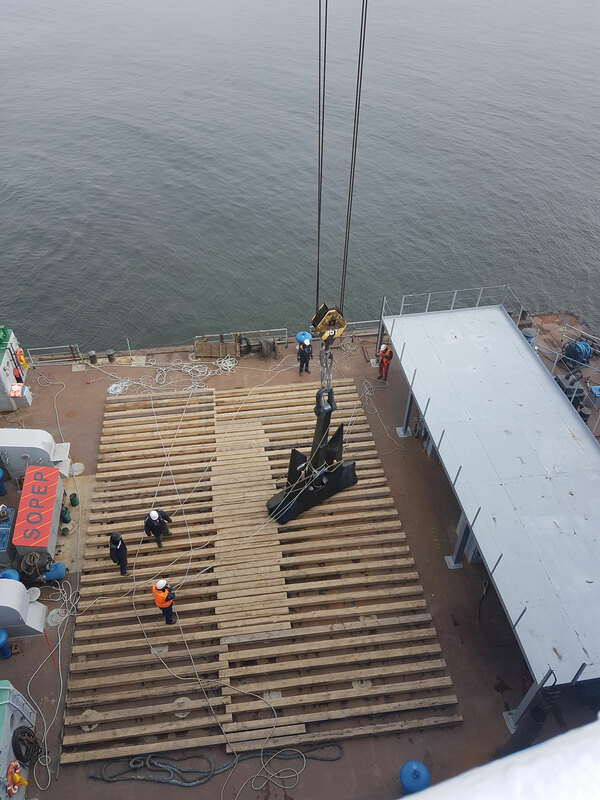 20.10.2016 Today sea tug Norsund lifted up in dry dock for periodical class survey. 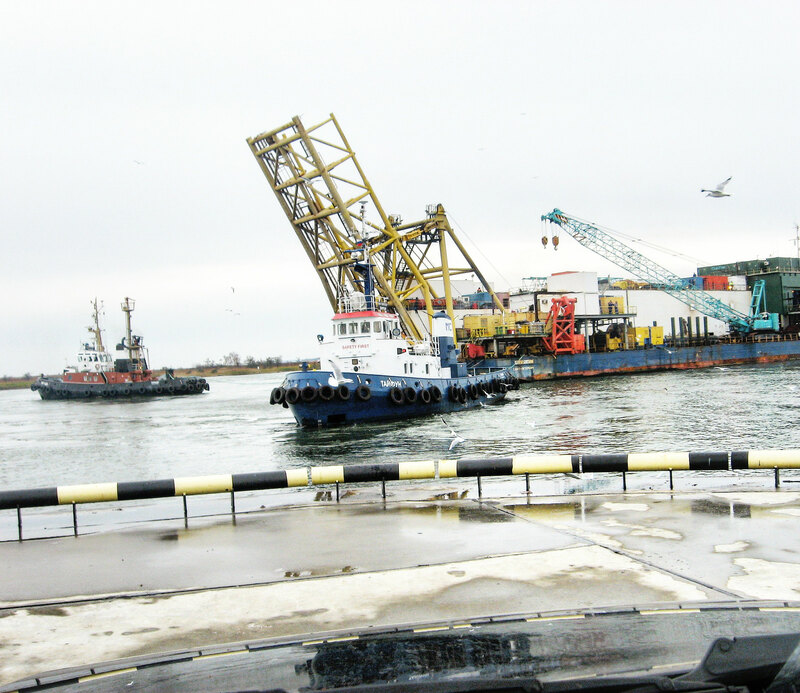 Tug Norsund has performed sea towage of floating crane SPK-46150 to the Black sea. 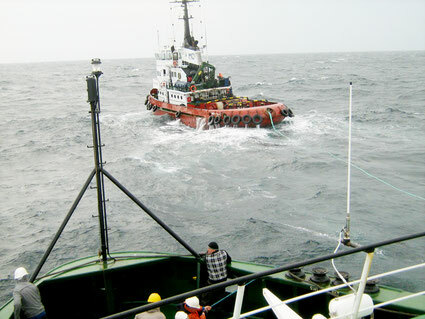 Many thanks to the crew for their professionalism. Sea tug "Odissey" performed sea towage of dredger "Bastion" to the port of Saint-Petersburg. ASD tug "Tornado" performed towage of dredger "Peter The Great. 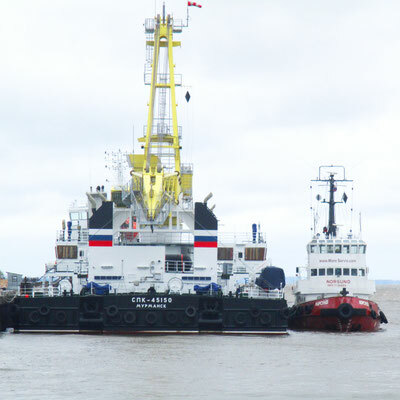 Sea tug "Odissey" performed sea towage of multi-purpose rescue tug project PC-45 to the port of Kaliningrad. 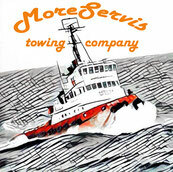 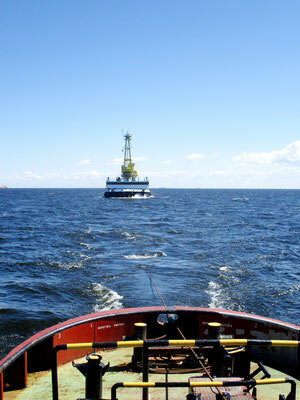 Sea tug "Norsund" performed sea towage of barge MEMELE( ex PTICH) to the port of Riga. 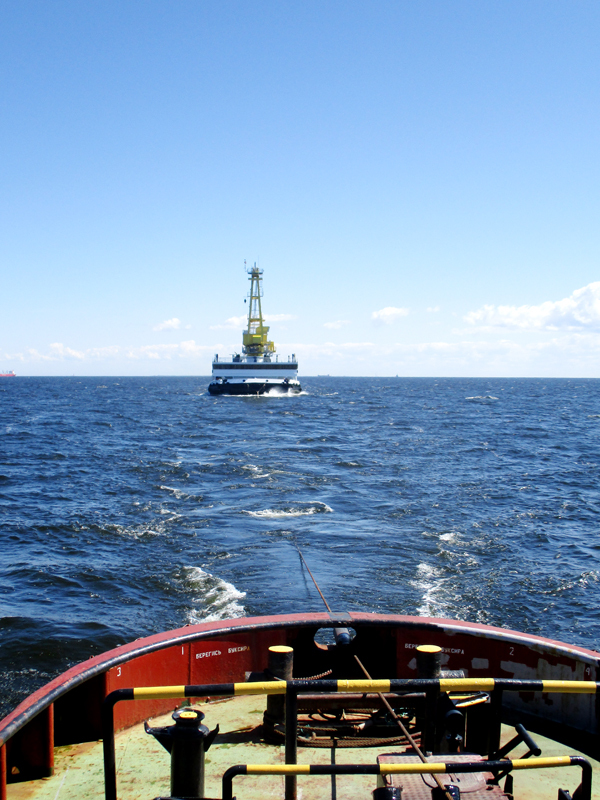 Tug "Odissey" and tanker "Venezia D"
Sea tug "Odissey" performed sea towage of m/t "Venezia D" to the port of Gdansk. 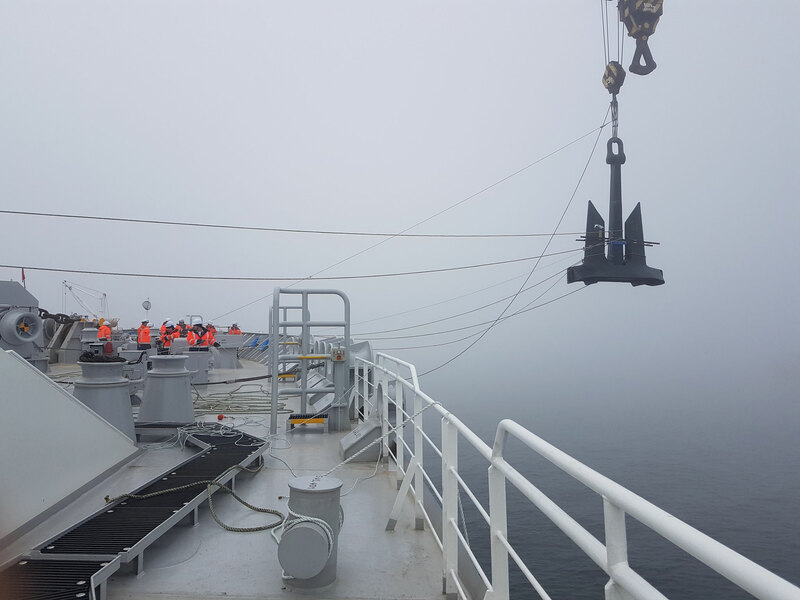 Sea tug "Norsund" performed sea towage of new building self-propeller floating crane project 02690-"SPK-45150" (№905) to the port of Murmansk. 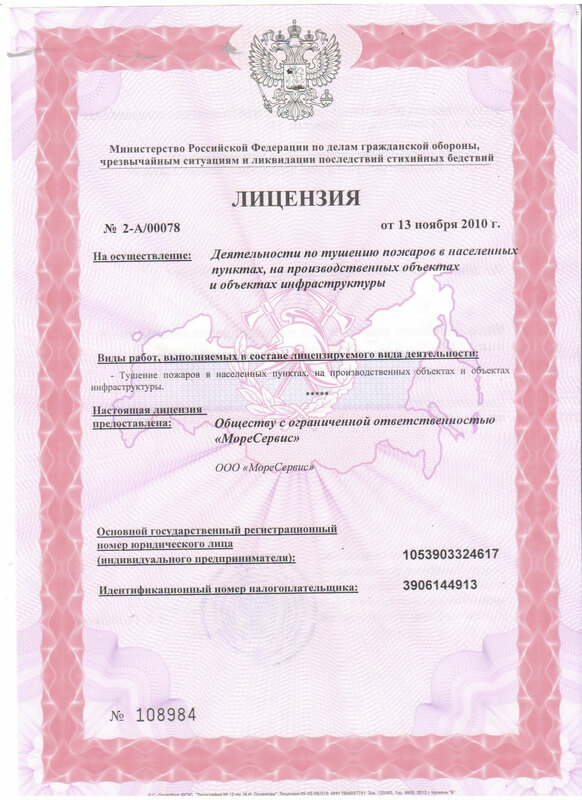 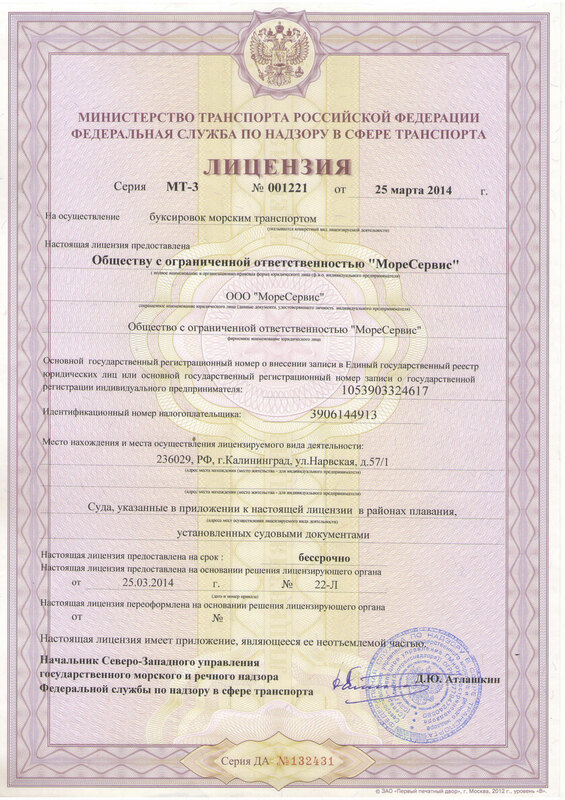 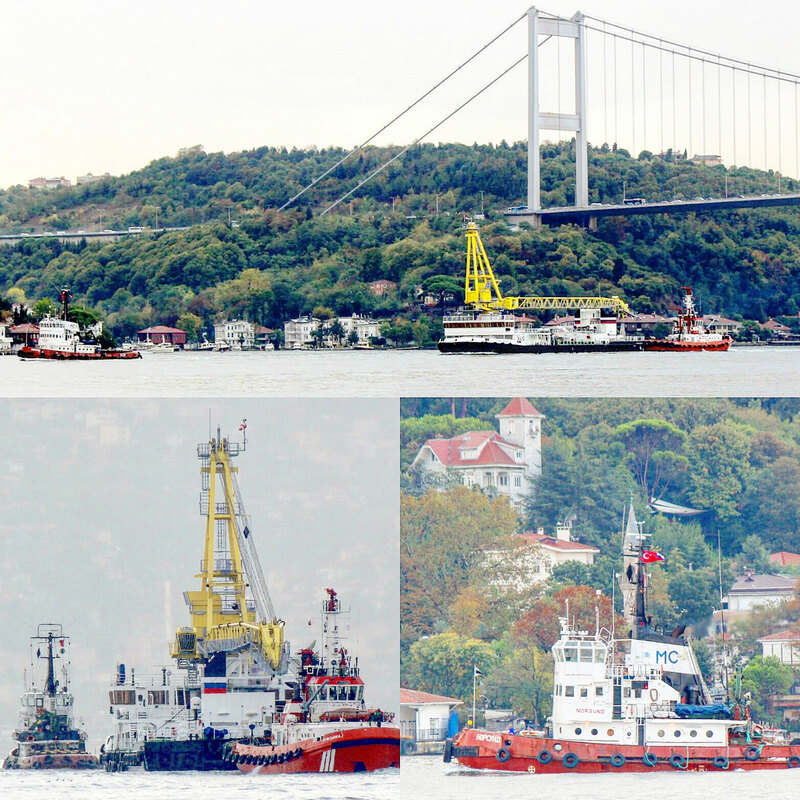 Crane was build by Shipbuilding firm "Almaz" 21st of april 2015. 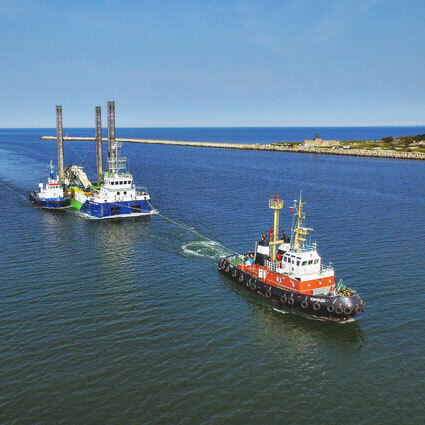 Tug "Odissey" and floating dock "PD-423"
Sea tug "Odissey" performed sea towage of floating dock "PD-423" to the port of Tallin. 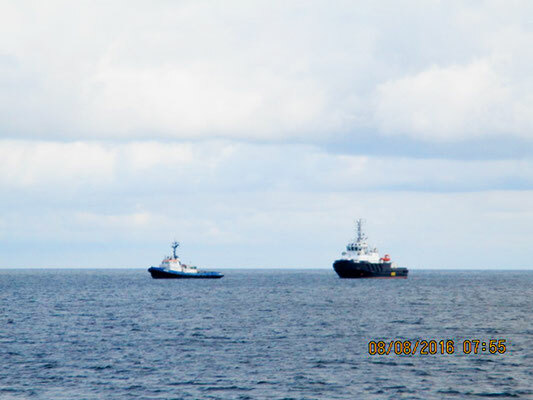 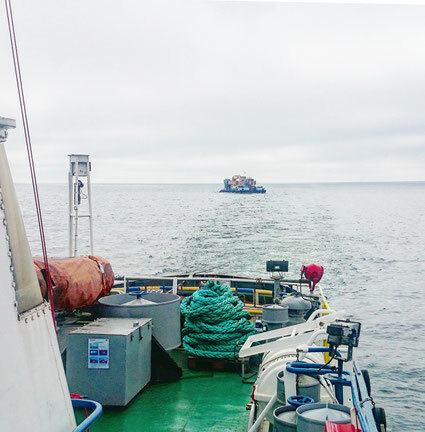 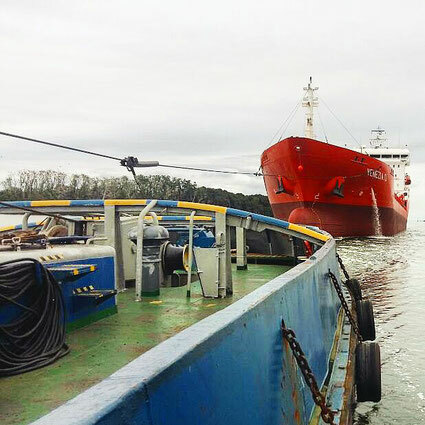 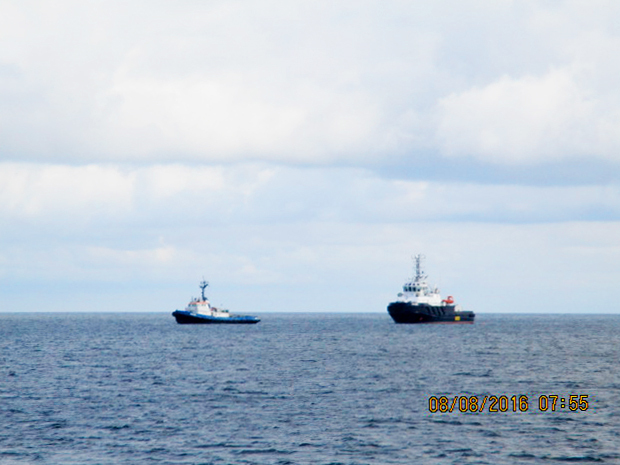 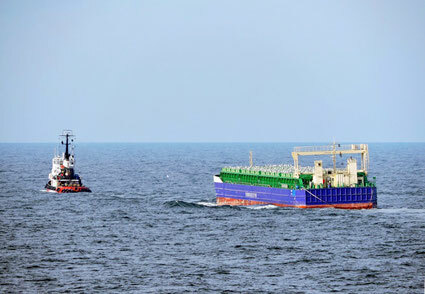 Tug "Norsund" performed towage of tugboat "DOS EXPLORER" to the port of Liepaja.